Modern Greek dramaturgy was shaped by various factors. The struggle to establish the popular language (the demotic) in literature, translations of foreign classic and modern authors in a vivid, working language and the attempts of Greek playwrights to face and expose contemporary reality, either under the guise of comedy and satire, or under the new conditions of social drama, are the elements from which contemporary Greek drama has emerged. Comedy of manners, satirical revue and realistically expressed social drama have been the forms favoured by contemporary authors. Greek Comedy in its various forms as well as works aiming at social realism and pshychological drama succeeded in presenting a wealth of popular characters, a critique of situations and behaviour typical of the Greek bourgeoisie and a satire of political actuality. 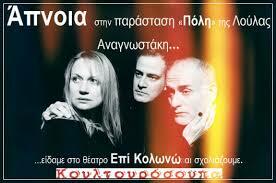 Poster for performance of The Coupling, by Grigorios Xenopoulos, at The National Theatre of Northern Greece. Works originating from the 19th century were impressively staged anew during the 20th century, such as Vyzantios’ Babylonia, Chourmouzis’ comedies and Dimitrios Koromilas’ comic idylls. 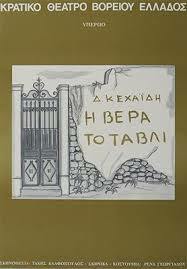 The scene of bourgeois drama was further enhanced with works by Grigorios Xenopoulos, Pantelis Horn and Spyros Melas. The 19th century Vasilikos by Antonios Matesis continues to be performed today in contrast to the works of Yiannis Kambysis. 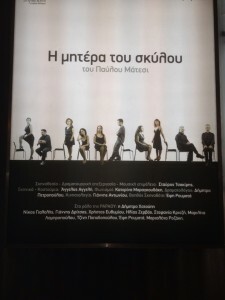 Poster for a performance of Kazantzakis’ play, Julian, the Apostate. Historical Drama, introduced in the 19th century and focusing on themes from Byzantium and the Greek Struggle for Independence, endured for about a century. It includes the classicist works of Dimitrios Vernardakis with his approach to “national drama” in the mid-19th century, as well as the plays of Nikos Kazantzakis at the end of the 1920s with their historical and philosophical content. 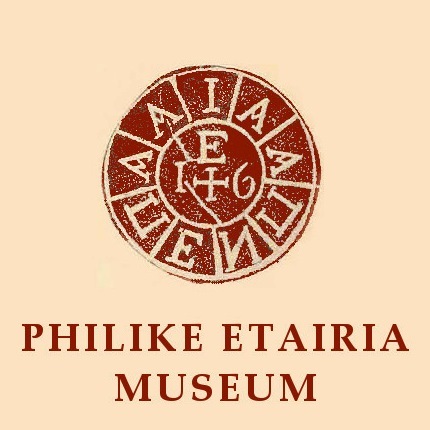 Tragedy written around Byzantine or modern Greek historical topics flourished again during the period between WWI and WWII in works by Angelos Terzakis and Vassilis Rotas. Dramatic works by Kazantzakis and poetic dramas by Angelos Sikelianos were produced after WWII, quite some while after they were written. The poetic drama Trisevgeni by Kostis Palamas, written in 1903 and containing elements of realism and symbolism, reached the stage only in 1915 on the initiative of the director Thomas Economou. 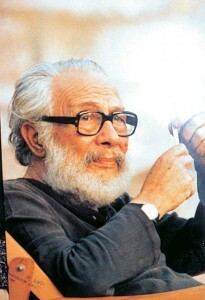 Karolos Koun (1908-1987), the seminal Greek Theatre director. Contemporary Greek Drama found its way to the stage thanks to the determined support offered by certain theatres and directors after WWII. The director Karolos Koun and his Theatro Technis (Art Theatre) succeeded in attaining, during the ‘50s and afterwards, a wider recognition of important dramatists, such as Iakovos Kambanellis, Dimitris Kechaidis or Loula Anagnostaki, while simultaneously encouraging a larger public to accept the new styles of modern Greek drama. 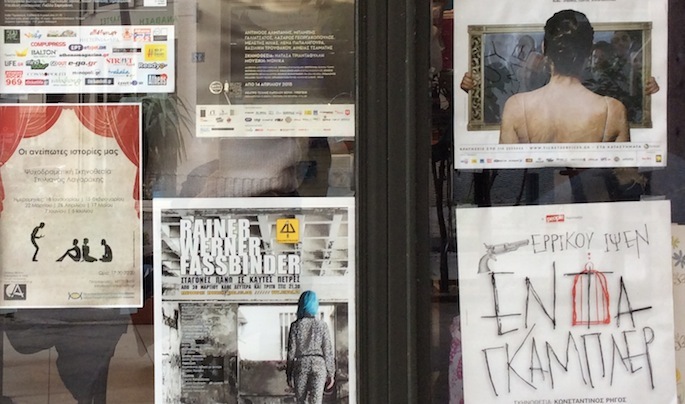 The National Theatre’s New Stage under various directors as well as smaller theatres in different Athenian neighbourhoods also played an important part in regularly presenting new authors. Modern Greek plays of the post-war period at times depicted the sad aspects of a cheerless life, the suffering and a passions of simple, poor folk within a suffocating routine, or presented their own idioms, creating extraordinary and unrealistic worlds inhabited by disturbed characters or seekers of the unattainable. Their authors were susceptible to the ‘unmistakable charm’ of two sirens: the one was low comedy, with its explosive comical situation and its brilliant characters, whose brilliance was further enhanced in the film versions of the plays; the other was revue, where the numbers and sketches satirizing political and social actuality thrilled the audience with their brio and biting wit. 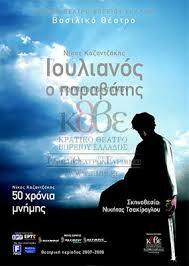 Poster from a performance of Yard of Miracles, by Iakovos Kambanellis. In his play Yard of Miracles, Iakovos Kambanellis addressed the everyday human being beset by life’s woes, daydreaming in the humble courtyard outside his house: a picture of the lower social strata with their wounded collective memory of the past, bearing the misery and pathology generated by the blind alleys of daily life. The author scraped the bottom of the barrel of Greek society within the confines of the yard, a gathering place of typical humans, a public spot inviting variety of versions of private attitudes. It is not a tragic scene, it is bitter and sweet, painful and emotional. The courtyard, a picturesque and familiar place, traditional and well known from previous works, was revived again to form the setting where the Greek’s dream fails to materialize and post-war illusions evaporate. The Yard of Miracles, produced by Koun’s Art Theatre in 1957, became a classic and a point of reference for authors depicting daily life and problems of identity or adaptation to the harshness of reality. 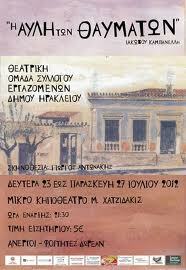 Poster from a performance of The Wedding Ring and Backgammon, plays by Dimitris Kechaidis. Other works were set within a social milieu inspired by rural and urban life, by marginal groups and idiomatic language. Everyday life is the setting common to all those plays, which for the past forty years, despite differences in style and intent, have dealt with the fall and denigration of the individual in situations determined by poverty, interest in profit and power. These plays have also confronted the problems of language and identity induced by suffocating family and social structures. 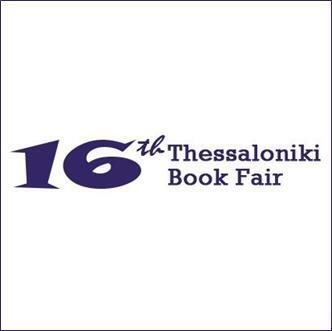 After producing The Fair – a family drama set in the fields of Thessaly, a story of human pain, parting and self-delusion in the rural landscape that is slowly dying (1964), and the one-act plays The Wedding Ring and Backgammon (1972), Dimitris Kechaidis delved deeper, together with Eleni Haviara, into the climate of other territories. In their works Laurels and Oleanders (the Greek word for ‘oleander’ is ‘bitter laurel’) and From Kifissia with Force (1995) the dialogue reveals ulterior motives and commitments, intrigues and unsurpassable weaknesses lurking beneath the surface of the words, a way of life in which the characters are trapped. In Yorgos Sevastikoglou’s Angela, written during the 50’s, we find a feminine environment with maids gossiping on the iron stairways at the back of post-war apartment buildings where pretty rivalries and passionate love affairs flare up. Since then, many playwrights have focused on illuminating the falsity, rawness and cruelty of social reality and of various social groups in a biting, critical and ironic attitude (Yorgos Skourtis, Marios Pondikas). Kostas Mourselas has looked at the bourgeoisie through a satirical, penetrating lens, identifying comic and ridiculous strains behind good-mannered conduct, law-abiding comportment and relations among friends (Friends, The Aquarium). Poster for Mother, Mom, Mama, a play by Yorgos Dialegmenos. Yannis Chryssoulis deals with the colourless aspects of daily coexistence, with its subcutaneous and disguised violence, in what he has written since 1979. Yorgos Maniotis, in his work The Pit, intruded into the forbidden territory of transvestites and hauled his flaming, provocative language out of this “damned” milieu. While constantly changing his style, Maniotis uncovered many another abysses, one of which was maternal oppression (The Football Match, Common Sense). Yorgos Dialegmenos is an author who thoroughly analyses every slice of life he decides to deal with from psychological and linguistic angles. His idiosyncratic naturalism, distilled in the two works for which he has been acclaimed, Aunt Unaccounted for. Stop. (1973) and Mother, Mom, Mama (1980), was not expressed as a photographic depiction of a particular reality but as a striving to expose the details and development of a situation through voices and characters which would otherwise pass entirely unobserved. In such a manner, the marginal characters of I Kiss you in the Face – rag-pickers, murderers and prostitutes – are projected in a prismatic way, while in The Night of the Owl the past recurs as a memory laden with the shrapnel of experienced time and with a tempo corresponding in nature to that of the death rattle. The subject of reality was later replaced by dream and nightmare, by the absurd and the uncanny. The forms employed were inspired by elements of the grotesque, expressionistic deformation, sarcasm, derision, delirious speech and surrealist images. The dramatists of poetic theatre moved in different directions and displayed a variety of lyric qualities. For Margarita Lymberaki, even tragedy was a form necessary to express vital existential issues and to bring history and the great myths of the past on stage. Following his caustic farces and “unpleasant comedies” castigating bourgeois life-concepts (Antigone’s Matchmaking, Easter Games, The Comedy of the Fly), Vassilis Ziogas formulated, during the 80’s, a lyric style full of symbolist elements and surrealist images. Introducing mysticism and transcendence, he evokes metaphysics, archetypes, philosophical and scientific reason, the language of the subconscious and psychoanalysis (The Mountain, Philoctetes, The Big Bang). 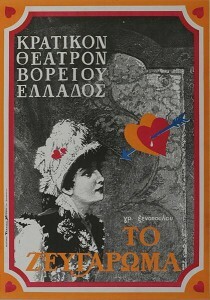 Poster from one of Pavlos Matesis’ plays. The poetic works of Stelios Lytras are set in dreamy, fairy-tale landscapes and resort to the world of symbols and pageantry (The Garden of Separated Lovers). 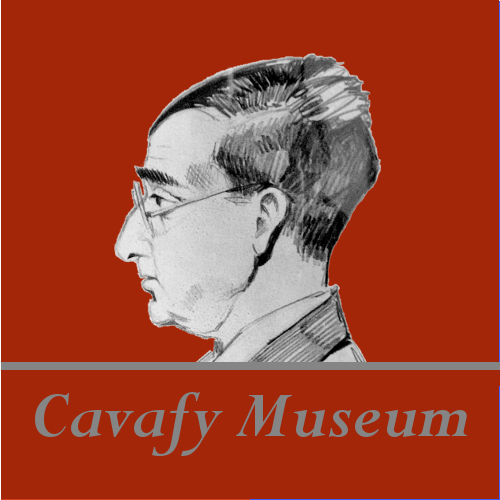 Pavlos Matesis had a long career that led him from caricatures and bourgeois satire to a cataclysm of the poetic “Self” by the phantasm of mythical antiquity. Yet both his earlier cartoon depictions of bourgeois phobias and wretchedness and his more recent works are based on surrealist and ritualistic elements (The Ghost of Mr. Ramon Novarro, The Buzz). Dimitris Dimitriadis’ plays convey a poetic vision with frequent outbursts of hyperbole. Baroque language and ritualistic staging unfold extreme images deriving from collective historical memory and originating in the reservoir of personal experience and mythology (The Beginning of Life, 1995). Rhetoric is the theme of all of Andreas Staikos’ works, where life, history, politics are observed through the mirror of theatre with all its tricks, techniques, masks and self-referral. In his lyrical post-modern play The Curtain Falls, a stage fantasy inspired by the meeting of Greek author Constantine Christomanos with the Austrian Empress Elisabeth, Staikos deals with the ghost of creation and beauty. As themes change, style also changes, entering different dramatic fields and creating new patterns. In the dramatic works of some playwrights one recognizes significant divergences between various periods. For example, Kambanellis, after the Yard of Miracles, used elements of satire, parody and allegory in his plays. He became involved in musicals and mixed styles. He explored patterns containing the phenomenology of the contemporary Greek family and society, measuring the effects of social change on the human soul, or wandering in the internal reality of mind and soul (The Invisible Troupe). Poster for a play by Loula Anagnostaki. The case of Loula Anagnostaki is a special one, in the sense that already in the 60’s she was focusing on achieving a synthesis of the utterly private and intimate dimension of things with that of the collective. Fantasy and mystery were permanent features of the historical and social background she portrayed of her approach to everyday life and her realistic dialogue. Anagnostaki developed not only the problems of communication among the characters of her plays, but also the quandaries of the “other” and their effect on space, action and people. She wrote elliptically in a poetically flowing style, endeavouring to fathom the depth of things, her writing full of nuances and musicality (Nike, The Sound of the Gun, Diamonds and Blues, The Distant Trip, The Purple Sky). 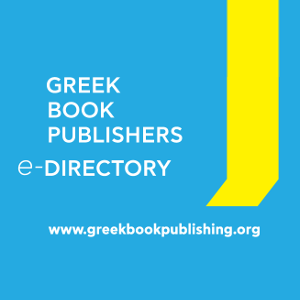 Eleni Varopoulou, reprinted from Greece: Books and Writers, courtesy of the Hellenic Ministry of Culture.